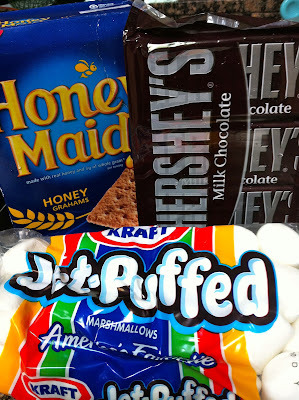 superdumb supervillain: Happy National S'mores Day! Here are the ingredients. You know what to do! Skewer a marshmallow on a stick and cook over a campfire until it's toasted to your liking. (I like them almost black and bubbly!) Then sandwich it between a two graham crackers with a couple of squares of Hershey's jammed in, for good measure. If you're too lazy or it's just too darned hot to start a campfire, go ahead and stack a graham cracker with chocolate and a marshmallow and microwave for about 30 seconds, then squish it down with another cracker. I won't tell. 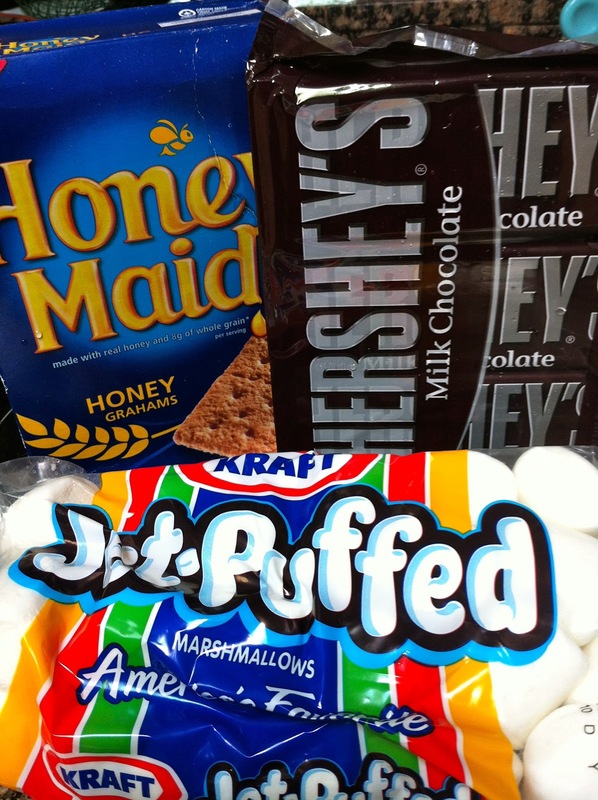 In accordance to the FTC Guidelines and the WOMMA Code of Ethics, I am disclosing that I received the s'mores ingredients shown from my friends at Hershey's to celebrate this auspicious holiday. No compensation was provided and I was not asked to post about it. I just like s'mores and think my readers would like to celebrate along with me.